The waistline on your pants keeps shrinking for some reason. You joined a health club and even went there and sweated. So you have decided you want to get serious about this weight loss thing. 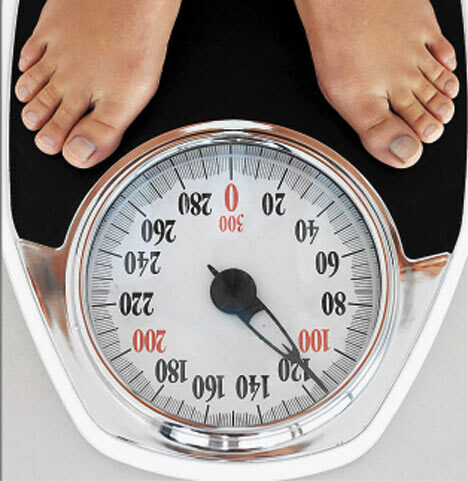 Should you be weighing yourself every morning? Are you going to be bummed if those 30 minutes on the elliptical machine haven’t pared some pounds overnight? Welcome! You are beginning to learn that weight loss and weight control are mental as well as physical. In fact, I think they are more mental than physical. They are also things that occur over a continuum, as opposed to overnight. I you are carrying extra baggage, it took you a while to accumulate. Give yourself adequate time to unload it. So, what about weighing in regularly? The answer is … Yes. It is a good idea. You need to get feedback on your efforts. You also need information on more than a weekly basis. There are a few important things to keep in mind, though. First of all, your weight can vary by one or two percent on a daily basis just based on hydration and elimination. So, you can’t take a daily jump or drop in weight too seriously. Keep the trend in mind. Remember, you didn’t put the weight on overnight, so you can’t expect to take it off that fast. In fact, a good rule to keep in mind is that one pound to 1.5 pounds a week is a good healthy rate of loss. You want to lose permanently, not just water weight. That’s why you are eating intelligently now and working out regularly. One of the most important aspects to daily weighing is not to feel guilty or get frustrated if you don’t see immediate results. Keep a level head and your eyes on your goal and you will be successful. I wrote a page on How to Lose Weight – and Keep it Off. There are a lot of very useful guidelines in it. I know they work because I used them myself over the course of writing this blog for the past four plus years. Check ’em out. They couldn’t hurt. And good luck! Finally, I would like to make one further suggestion. If you have success shedding pounds, and I hope you do, take a moment to reflect on what got you there. You have eaten intelligently and exercised regularly. I have a secret for you. If you continue to eat intelligently and exercise regularly you will never have to worry about your weight again. Wouldn’t that be lovely?! I hope you will consider it as an alternative to going back to your careless ways and packing on extra pounds again. I completely agree with you that if one continues to eat intelligently and exercise regularly one will never have to worry about weight again! Thanks, Laura! Great minds run in the same channel. I used to weigh myself weekly but decided that measuring worked better for me and is more accurate. I have been shedding 1.5 weekly and I am down to 12 pounds. High blood pressure was my incentive and I love this lifestyle. Great information, I enjoy your posts. Thanks for you kind words and congrats on your wonderful progress. Keep up the good work!